The gap between Indian Wells and Miami is so short that it is almost comical. Bianca Andreescu had to go through three painstaking sets to defeat Angelique Kerber in the Indian Wells final, but immediately after that she was greeted with the news that she’d likely have to face Kerber again in a few days, in the Miami third round. Breathers are clearly for the weak, according to the tennis powers that be. Winning Indian Wells and Miami back-to-back has historically been a very difficult proposition due to the nearly overlapping schedules of the two tournaments. But that won’t stop last week’s winners — Andreescu and Dominic Thiem — from trying to join the elite club of players who have done it. 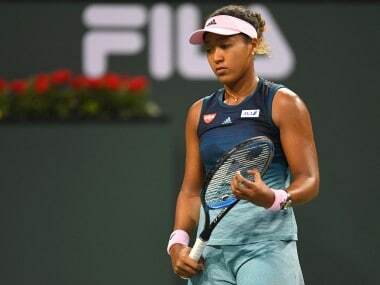 Naomi Osaka seemed to have got some of her rhythm and confidence back last week with commanding wins over Kristina Mladenovic and Danielle Collins, but then came completely unglued against Belinda Bencic in the fourth round. She has some breathing space in Miami as she faces a qualifier in her first match, after which the tests resume in full force: she could face Su-wei Hsieh in the third round, Caroline Wozniacki or Garbine Muguruza in the fourth, and Kerber in the quarters. Kerber herself may have to contend with promising American Sofia Kenin or Indian Wells conqueror Andreescu in the third round, and Aryna Sabalenka in the fourth. Sabalenka’s underwhelming start to 2019 is showing no signs of picking up; she needs a good run here more than any other woman in this quarter. There are lots of talented players in this quarter, but no clear favorite. Petra Kvitova is the highest seed, and she would want to correct her poor North American record and finally win a title here. It won’t be easy though, as she could face Maria Sakkari first up, followed by Donna Vekic in the third round. Australian Open quarter-finalists Ashleigh Barty and Anastasia Pavlyuchenkova could be on a fourth round collision course, unless Madison Keys and Kiki Bertens decide to come in the way. And Victoria Azarenka, the one woman here who has won Miami before, could come in the way of everyone — she finally has a manageable draw to work with, and is coming off a high-quality match against Serena Williams last week. 3rd Quarter: Can the defending champion get back to her invincible defence? Last year Sloane Stephens looked like an impenetrable wall in Miami, getting literally every ball back as she scrambled her way to her maiden Premier Mandatory title. A repeat of that feat looks unlikely, as Stephens seems to have lost some of the sting in her defence and has looked extremely vulnerable in the early rounds of tournaments — which could be taken advantage of by either Alison van Uytvanck or Ons Jabeur in the second round, and possibly Camila Giorgi in the third. The winners of 2019’s desert events (Doha and Dubai), Elise Mertens and Belinda Bencic, also find themselves here, and could face off in the quarter-final. Mertens may have to get past Jelena Ostapenko in the third round and Stephens in the fourth though, while Bencic has Anastasija Sevastova and Karolina Pliskova in her path. 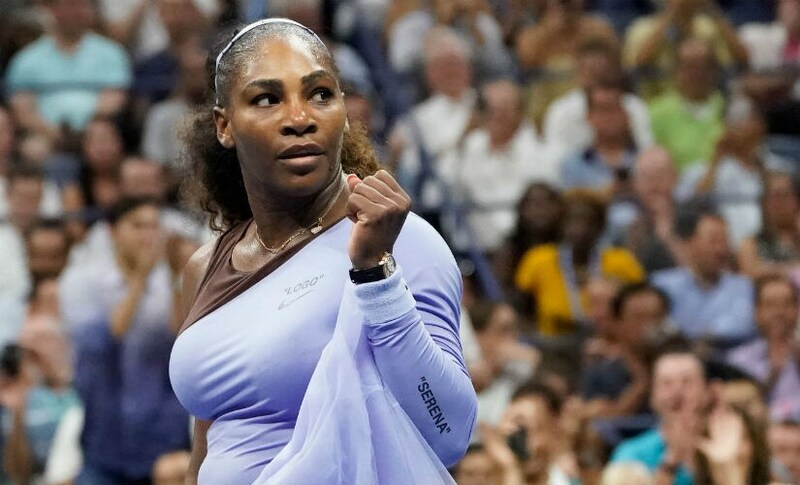 Serena Williams looked as good as she ever has in her win over Azarenka at Indian Wells, but had to pull out of her next match against Garbine Muguruza due to an illness. If she has recovered from that, she should be expected do some serious damage in the draw — Miami is pretty much her home, and she’s won a staggering eight titles here. Her draw looks fairly stress-free; she could start against Rebecca Peterson, and possibly face Qiang Wang in the third round. Things could get interesting in the fourth round and quarter-final though, where she could face Elina Svitolina (or Danielle Collins) and Simona Halep respectively. Also here is Venus Williams, who could face Carla Suarez Navarro in the second round and Daria Kasatkina in the third. And while Venus fulfills the veteran quota, plenty of attention will be devoted to two players in the new-name-of-interest category — teen sensation Coco Gauff, who could face Kasatkina in the second round, and Naomi’s elder sister Mari Osaka, who could meet Danielle Collins in the second round. 1st Quarter: Is Novak Djokovic back to business? 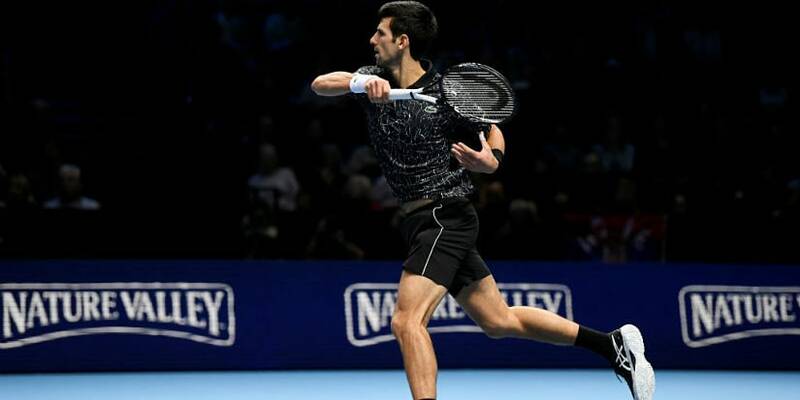 Novak Djokovic suffered a shock defeat to Philipp Kohlschreiber in the Indian Wells third round, making many question his motivation levels for the non-Slam events in this stage of his career. The World No 1 has a chance to answer those questions with a title in Miami, but Tomas Berdych in the second round looms as a fairly challenging obstacle. After that Djokovic could face John Millman in the third round, Roberto Bautista Agut or Fabio Fognini in the fourth, and John Isner, Lucas Pouille or Milos Raonic in the quarters. Those last two names are of particular interest. Has Pouille recovered from his February doldrums, ready to make another run like the Australian Open? And can Raonic build on his Indian Wells semi-final showing last week? Dominic Thiem channeled his inner Thor to hammer his way past the field in Indian Wells, but he may have to channel his other inner superheroes too if he wants to make it back-to-back titles. Not only is he facing the prospect of a post-breakthrough let-down, he also has a tough draw to deal with: he could face Hubert Hurkacz in the second round, Marton Fucsovics in the third, and Gael Monfils in the fourth. At the other end of the quarter is Kei Nishikori, who could face 2017 semi-finalist Nick Kyrgios in the third round – if Kyrgios can get past Tennys Sandgren, that is. Borna Coric also finds himself in this rather crowded quarter, and he could face Gilles Simon in the third round and Nishikori or Kyrgios after that. Last week in Indian Wells, everyone lamented how unfortunate it was that Roger Federer and Stan Wawrinka had to face each other in the third round. So what did the draw gods do? They just turned around and put Federer and Wawrinka in the same quarter in Miami, again slated to meet in the third round. As funny as this may sound, you can bet that Wawrinka isn’t laughing — he has famously never defeated his countryman outside clay. Can he do it this time? He will have to defeat Filip Krajinovic or Pierre Hugues-Herbert to even get the opportunity, which in itself won’t be easy. Federer on his part has a tough draw himself. If he manages to get past Wawrinka or Krajinovic in the third round, he could face Daniil Medvedev in the fourth round and Karen Khachanov or Kevin Anderson in the quarters. Also here are Grigor Dimitrov and Diego Schwartzman, two talented shot-makers desperate to get back to their 2017 career peaks. 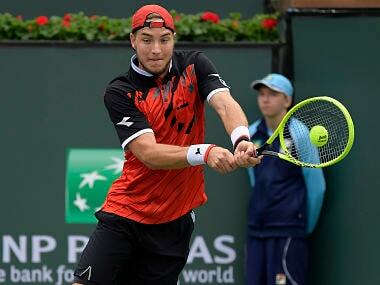 It wasn’t a great week for the Next Gen in Indian Wells, as Alexander Zverev, Frances Tiafoe and Stefanos Tsitsipas all flopped. Zverev and Tiafoe have a chance to correct that by producing a quality tussle in the third round, but for that Zverev will first have to get past David Ferrer or Sam Querrey, while Tiafoe will have to dodge Ernests Gulbis or surprise Indian Wells quarter-finalist Miomir Kecmanovic. Tsitsipas has a seemingly easier path, and his first big challenge could come in the fourth round — against Marin Cilic or Denis Shapovalov. Shapovalov had eased past Cilic last week in Indian Wells, and he would be itching to do that here in Miami too, but you suspect Cilic would be better prepared this time around. Also here is David Goffin, who is slated to face Zverev in the fourth round by seeding. But the Begian could face Ivo Karlovic in the second round, and given the Belgian’s recent form, that’s not a guaranteed win by any means.